Onions are one of the earliest and easiest crops to grow in your garden. Start with fertile, loose, well drained soil,. 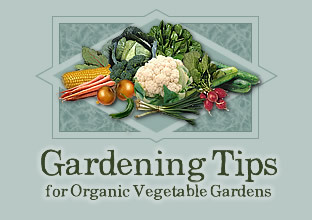 Work some aged compost into the top 2" of the soil, and you can avoid applying too much nitrogen. If you compost is well rotted, you will provide everything your onions need to grow, even though they are heavy feeders. Soil pH. should be 6.0 or higher. It is difficult to grow onions in acidic soil. While onions can be started from seeds, it is easiest to use onion sets, which are small dried onions. generally, four varieties are offered. Yellow Spanish, white, purple, and Dutch yellow storage onions. While the first three varieties will keep 1-2 months, Dutch yellow storage onions are the best for long term winter storage. Planting should occur early in spring t take advantage of the moist soil and the cool weather. Onions can tolerate some frost. Prepare a weed free seed bed with loose soil to 6-8". Plant sets 3-4" apart, or i a grid pattern, leaving sets 4-5" apart. Plant onion sets in the loose soil with the top half of the set exposed, Plant with the pointed end up. Discard sets that are already sprouting or mushy. As the season progresses, keep onions weed free and moderately well watered. A top dressing of aged compost is beneficial if applied during the first month or so. As Summer begins, the onion tops will yellow,then begin to fall over. When most of the tops have fallen over, pull out all the onions and put in a dry, airy place to cure. Make certain all tops have shriveled up to a dry papery condition before storing. Sort our damaged bulbs for immediate use, and clip off the tops of the onions to be stored, leaving 1/2 to 1" of stem. Onions with small necks store the longest. Pack the cured onions in net bags and hang in a cool, dry. dark place. Check them weekly to remove any rotting onions that may spoil the rest.